Cheap Car Hire on Jamaica | Compare & book reduced rental prices and moke, SUV, minivan & MPV. Compare and book lower cost car hire in Jamaica. Also save on jeeps, SUV, estates, minivans and MPVs. Booking in advance through us helps save you money and get the hire car you need for Jamaica. are our preferred supplier, but we also offer Avis, Europcar and Right Cars. All cars come with unlimited mileage and a reduced CDW, which can either be reduced further locally, or covered with excess cover through our broker. Collect your rental car at the airport, or have delivered to your Jamaican hotel at a later time. 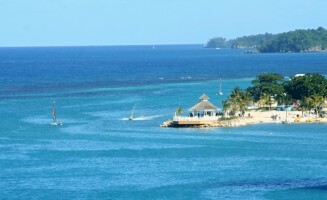 Fees may apply e.g Ocho Rios is currently an extra USD45 per trip. There are more than thirteen thousand miles of roads all around the island, with 75% of them paved. Jamaica is the perfect island for day tripping, but you will need some form of transport. We offer automatic transmission on selected car categories, with full insurance and unlimited mileage. We also give 24 hour breakdown cover. Please book early to get the car you want. A small booking deposit will secure the car of your choice. 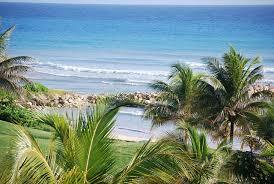 Jamaica is also known as the Land of Springs and the Land of Wood and Water. It is a very popular summer destination among the rich and famous. Even if staying at an all-inclusive holiday resort, there is much to see in Jamaica, with mountains, jungles and beaches. 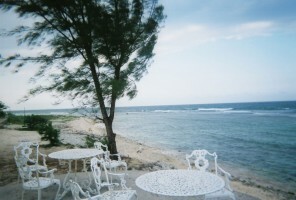 - Jamaica is also famous for sandy beaches, waterfalls and wildlife. So there's plenty to see while driving your hire car around Jamaica. A popular starting point of a road tour, of this exciting island, is Runaway Bay. If you are fond of the singer Bob Marley, then you should drop by his museum sometime. He was born in Jamaica and was responsible for making reggae music popular, the world over. 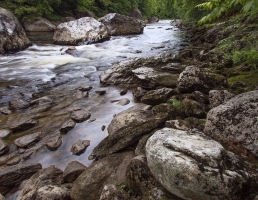 Consider adding a few days in Kingston, and to get the most out of the nearby attractions, we advise renting a car. The Blue Mountain route passes through coffee plantations and offers stunning scenery on the way to John Crow National Park. We offer cheaper motoring costs in Jamaica. Discounted Jamaican driving made easy. We have reduced rates with Island Cars in Jamaica. Manual & automatic vehicles to choose from. Sports Utility Vehicles at discounted hire prices. Cheaper hire a convertible here, than go direct. Aside from that, there is the National Gallery, the Devon House, the Hope Botanical Gardens, and the Spanish Town to marvel at. All of these attractions can be found in the capital city of Kingston. 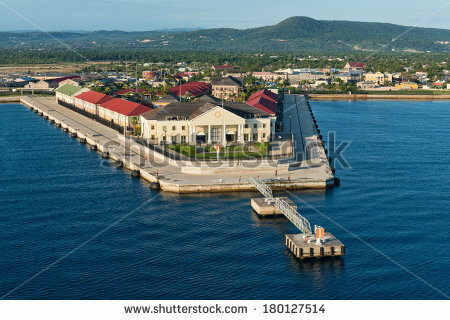 Situated near Kingston, is in fact the key tourist destination in Jamaica. It offers first class scuba diving, challenging golf, beach front hotels and mouth watering fresh seafood. There is no shortage of things to experience in and around Ocho Rios. Just got to sit at the dock of the bay. Enough said. Cheers Otis! If stepping off a cruise ship, and time is limited, consider taking a Sea Taxi to visit Port Antonia, Runaway Bay, Trelawny, Dolphin Cove or Reggae Beach. Do remember to bring along your snorkel gear! This is roughly how many Jamaican Dollars you can expect to get for your hard earned cash:- 1USD = 110JMD, 1GBP = 185JMD and 1EUR = 1=150. Oh, so you're going to Jamaica, in the sunny Caribbean seas? Check what the Jamaica Tourist Board are saying, so you are singing the same song! 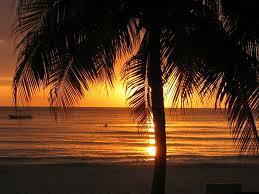 If also going to other parts of the Caribbean then check here for Barbados deals.